The Pilgrims of São Miguel is a religious tradition that dates back to the 16th century. 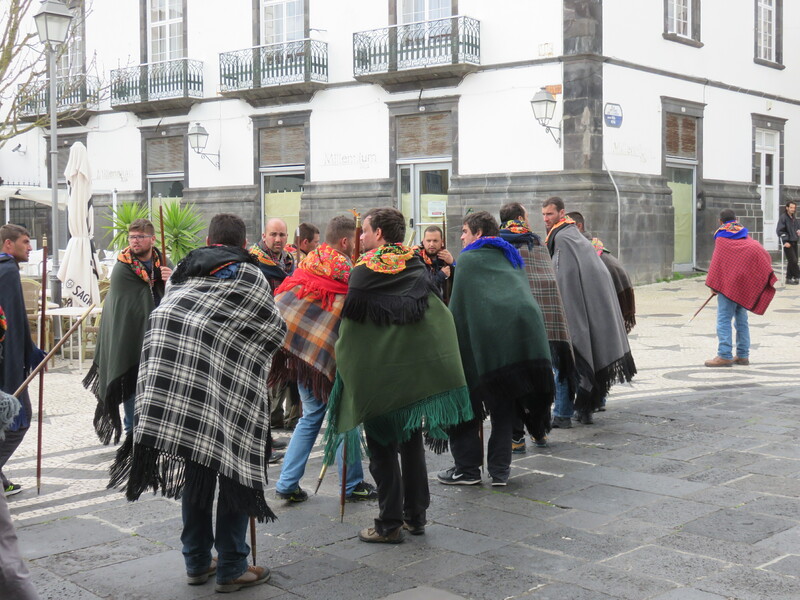 It takes place during Lent and consists of a pilgrimage around the island undertaken by a group of men. In this group there was 30 of them. 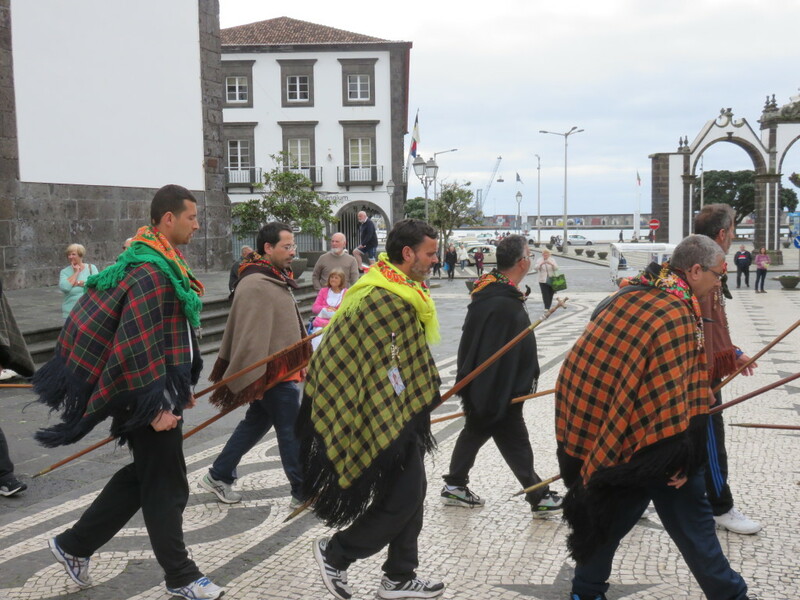 For seven days they travel the island on foot, praying at all the churches dedicated to Our Lady. I must say, their singing was impressive. It was a pleasure to listen to them. In singing and in walking they are led by a “master”. 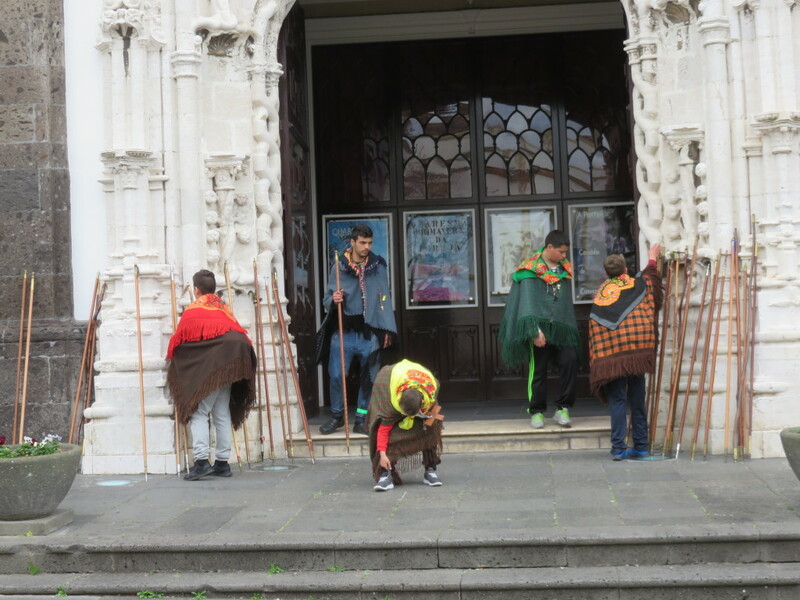 When they finished singing, they left the church in a very organized manner, grabbed their special sticks left outside the church by the door and started to walk always chanting their prayers. 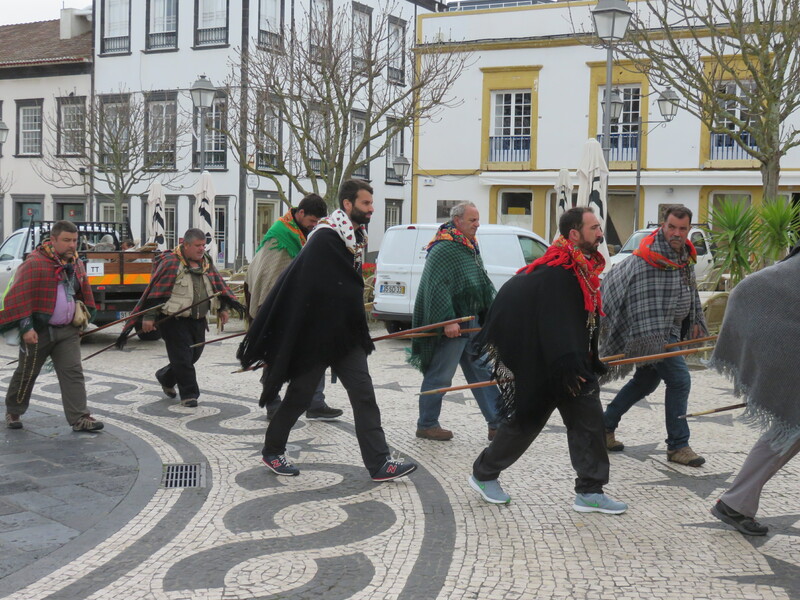 They walk around the island for eight days. For the night, they stay with local families, who offer them a place to sleep and a meal. 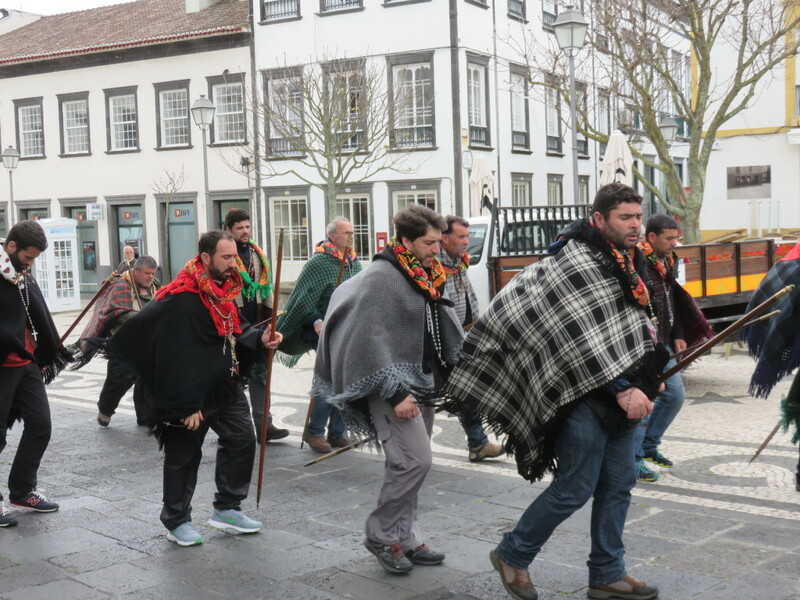 The Pilgrimage of the Island of São Miguel in the Azorean Archipelago began in the wake of the violent earthquakes and volcanic eruptions that shook the locality of Vila Franca do Campo in the years 1522 and 1563. 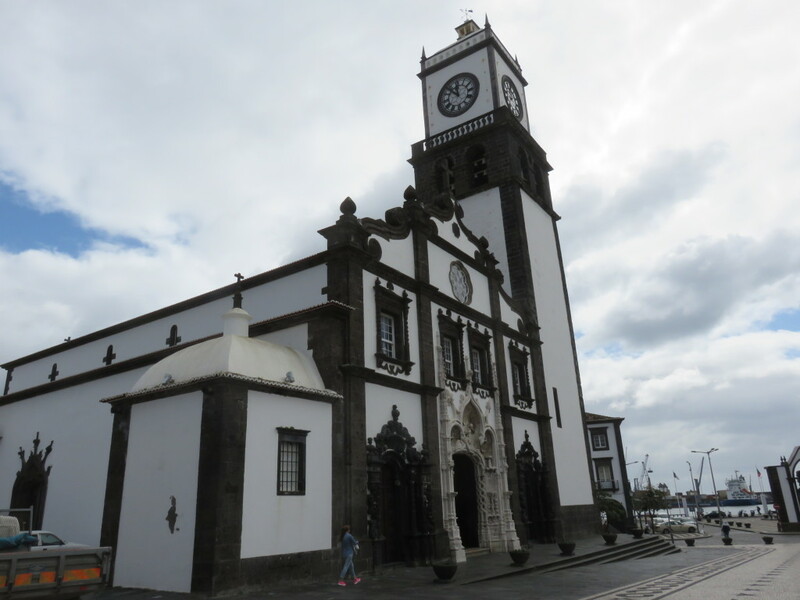 In an era in which natural catastrophes were seen as divine punishment for the sins of Man, local priests like Brother Afonso de Toledo instigated the inhabitants of the island to take up Marian devotion and processions. 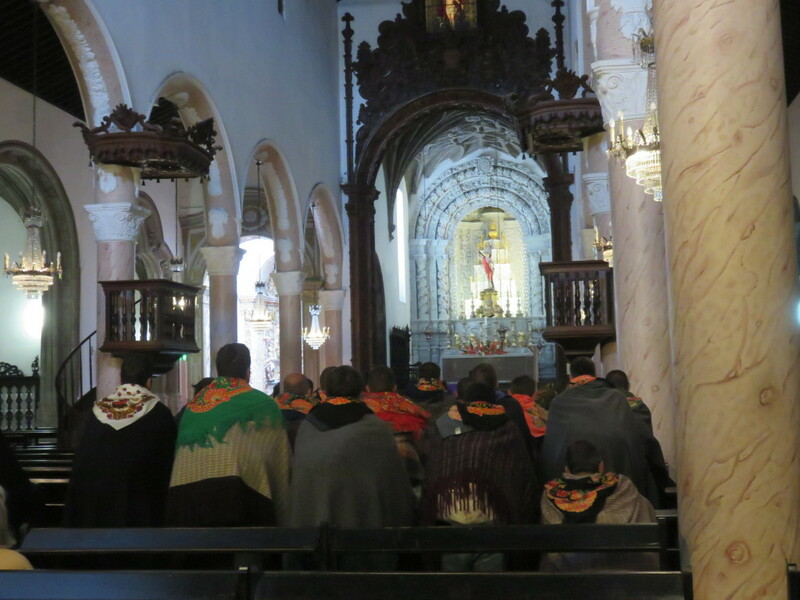 Thus began the pilgrimages to the island chapels, churches and hermitages where prayers were offered up to the Virgin’s for protection and divine intervention in their ills and afflictions. 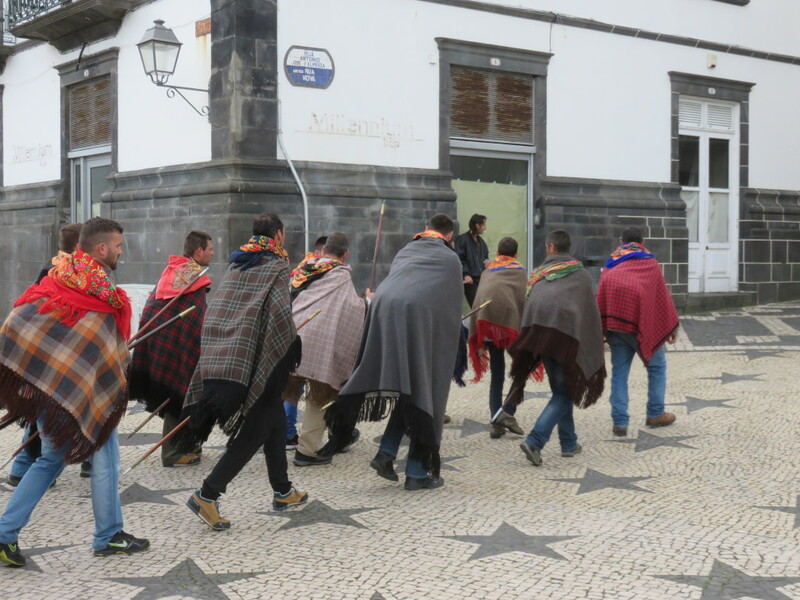 The pilgrim tradition is very much alive in the hearts and lives of the present day inhabitants of São Miguel but as far as we know there is no trace of similar practice on any other island of the Archipelago. The pilgrim sports a staff, shawl, headscarf and shoulder bag. He wears a rosary round his neck and holds yet another in his hand for prayer. 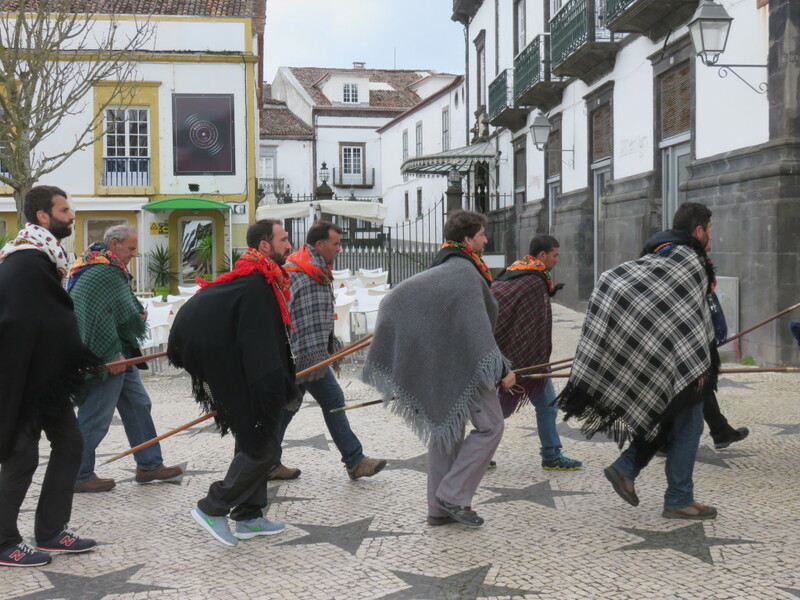 The staff aids walking along the some times difficult island paths and trails whereas the shawl and headscarf protect the wandering pilgrim from the cold and harsh weather conditions. Despite pilgrim dress having originated from mere physical requirements, in time it came to acquire mystical and religious symbology: the staff symbolizes the sceptre given to Christ by the Romans during His trial before Pilate, the shawl His Tunic, the headscarf the crown of thorns of the Agony and the shoulder bag the Carrying of the Cross on the way to Calvary. 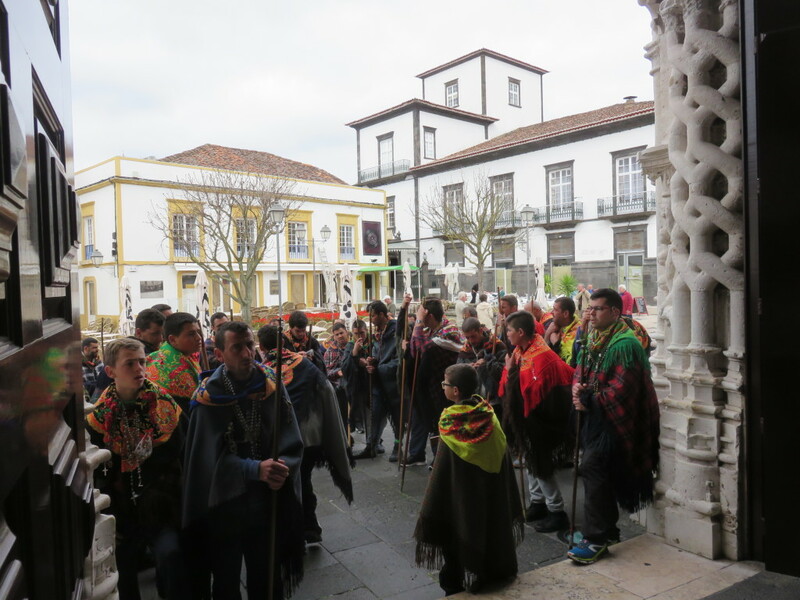 The Pilgrimage lasts eight days and ends at the starting point. 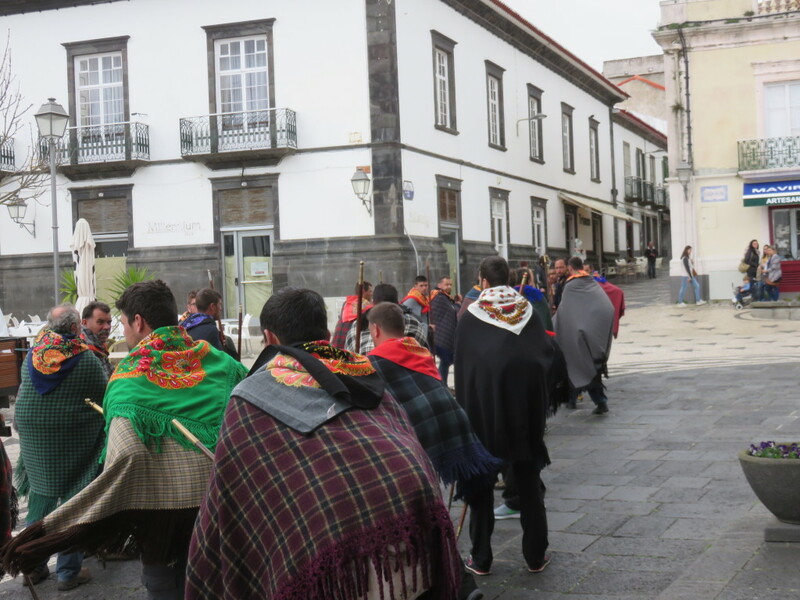 The local clergy support the pilgrims, who are usually laymen, for the duration of the pilgrimage, the main purpose of which is to visit “the houses of Our Lady”. They follow a pre-established route under the supervision of the Group Leader. Presently, overnight accommodation and almsgiving of past days have been reorganized to be more in tune with modern day requirements. 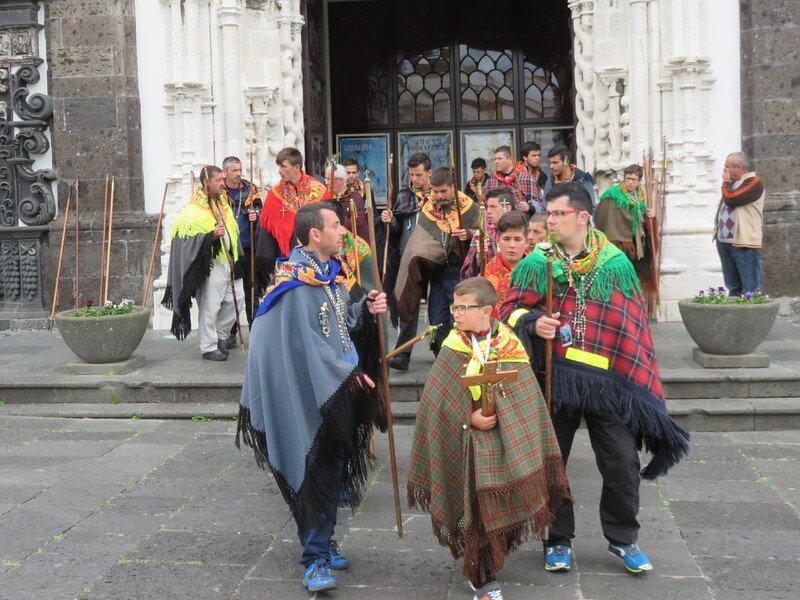 The collaboration of the parishes along the route are secured in advance and parishioners put up the pilgrims in their homes and provide them with an evening meal and hot water and salt for their tired and aching feet after the long day’s walk. The pilgrim carries victuals for the remaining meals of the day in his shoulder bag. Some hosts still choose to live out the Washing of the Feet Ceremony in memory of Jesus’ humble and charitable gesture to His Apostles by bathing their guests’ feet. 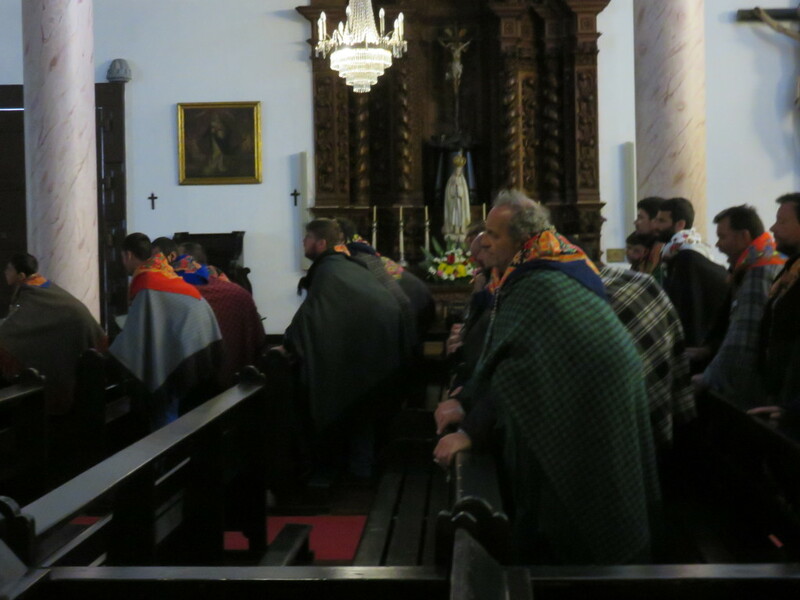 The Hail Mary is the main canticle throughout the whole pilgrimage. The Our Father is normally offered up in silence whereas the Glory Be To the Father is prayed only during rest periods. The Procurator of the Souls, whose mission it is to gather and take stock of requests for prayer from whomsoever the group happens to encounter on route, follows in the rear. The requesting party then secludes him or herself and prays equal number of Hail Mary ‘s as there are pilgrims in the group. As in almost all popular religious traditions the Sacred is present alongside the Profane in the amusing stories and jokes shared around meals, which mirror in themselves all the joy and bonhomie of the brotherhood that bond the Pilgrims. 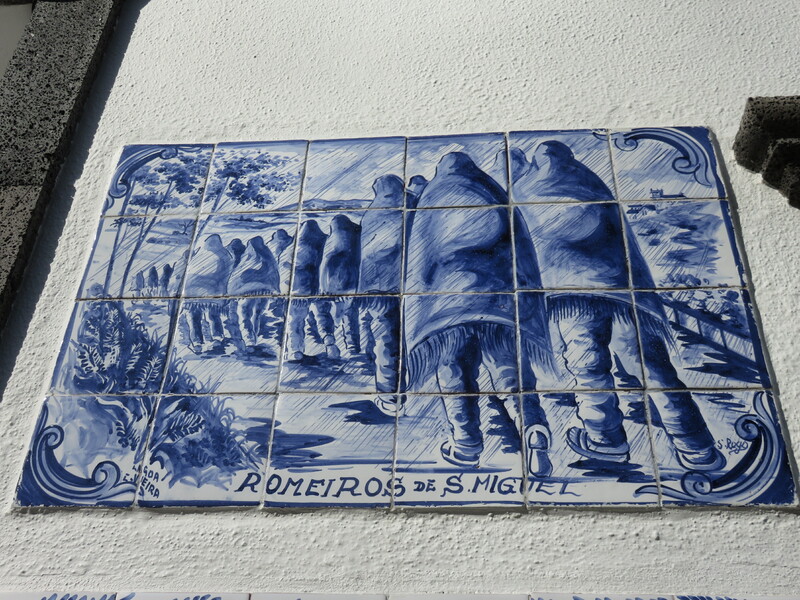 I remember os Romeiros. God bless them. And Joanna, thanks for sharing your blog, we are able to share this trip with you. Dzieki za wszystkie komnentarze Bozenko.